Posted by ayasawada in Manga. 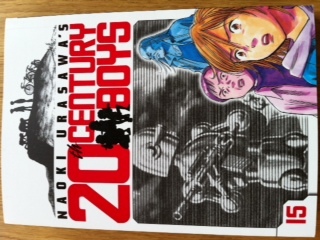 I received the latest volume of 20th Century boys this week and read it in one sitting! Posted by ayasawada in Manga, Rave. It takes some balls to reimagine the work of the ‘God of Manga’ Osamu Tezuka, let alone his most treasured work. 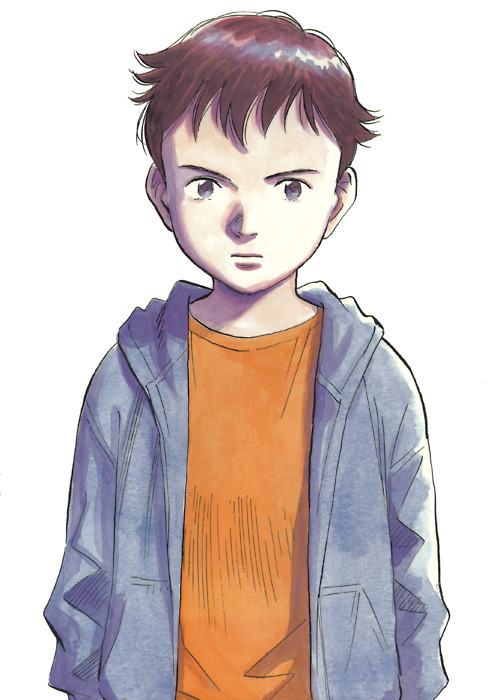 But if anyone can, Naoki Urasawa can. I’m hyperbolic at times, but believe me when I say this is one of the best manga, maybe even sci-fi, that I’ve ever read. Meanwhile, Cross Game continues to be AMAZING!! I think I’m going to write a separate post on vol. 3 so will save my thoughts for then. 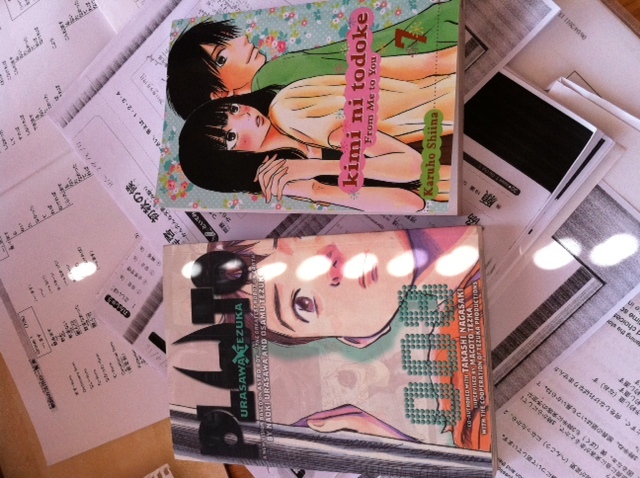 Latest Amazon order brings the new volume of Kimi Ni Todoke and the final volume of Pluto (because I can’t get it from the library, but I have to know how it ends!). I have a lot of thoughts on Pluto, but will save for a proper post when I’ve finished the whole thing. 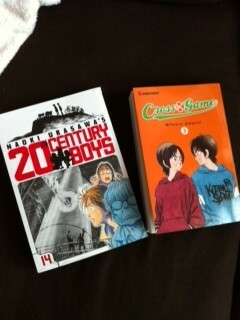 I’m pretty sure already though that it’s one of the best manga – and sci-fi – I’ve ever read. So how about the second movie? Well, it certainly had me on the edge of my seat throughout, if only because I really wanted to know what happened next. I did enjoy the film but, on first impressions, I also found it a little disappointing. But that shouldn’t take away from what is still a fabulously enjoyable film.